From the moment you walk into Sandmeyer's Bookstore, you can tell the difference. 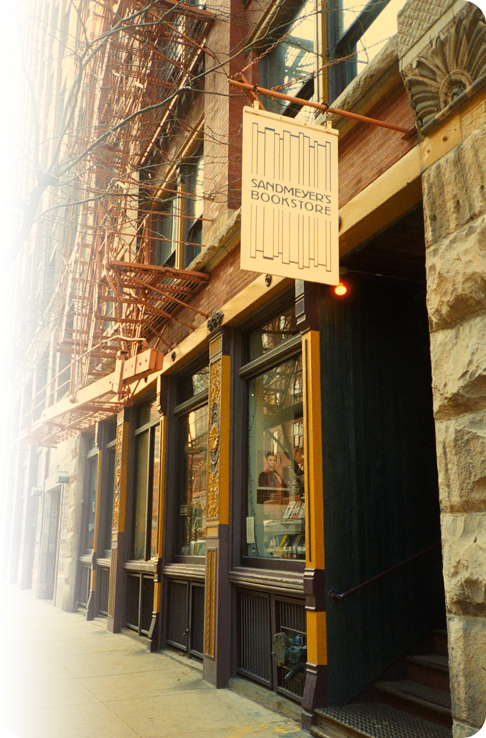 Sandmeyer's Bookstore has served Chicago's South Loop since 1982, providing quality new books and unbeatable service. A true mom-and-pop shop, Sandmeyer's Bookstore has been family-owned and operated since the beginning. Come browse our extensive collection of new releases, travel guides and children's books. Whether it's a fresh copy of an old favorite or the latest bestseller, you're always going to find something good at Sandmeyer's Bookstore.